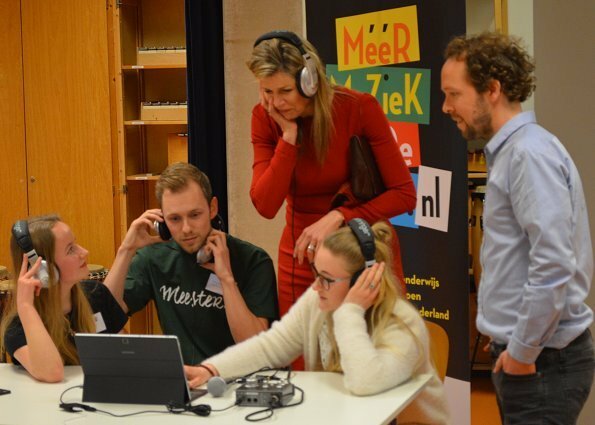 Queen Maxima visited a digital composition workshop at Leiden University of Applied Sciences (Pabo van Hogeschool). 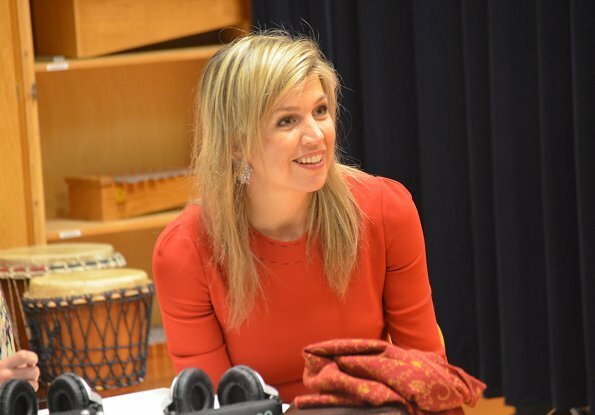 Queen Maxima visited a digital composition workshop where PABO students teach children how to make digital music. In PABOs, music education is important and new generation teachers who received a music education can give music courses to children at primary schools. 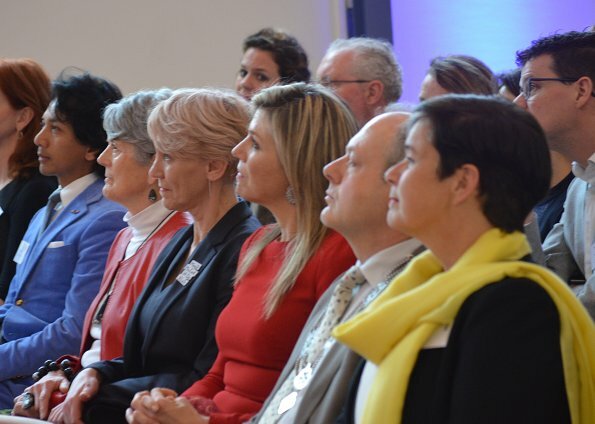 Queen Maxima attended Teacher Education for Primary Education as the honorary president of Méér Muziek in de Klas. I like her, just not her hair. She's very on-hands busy and 'sympathique'. The D&G Dress seems to be a favourite of hers. The red is wonderful and the cut not too uncomfortable. I am not one of the very hard hair critics, but she has such a pretty face and lovely smile and her hair 'destroys' the effect completely. I wish, she would cut it. Her sister-in-law, Laurentine, has similar hair that has been cut in a short and stylish way for years. It's attractive, fun and still professional. Maxima should do the same. 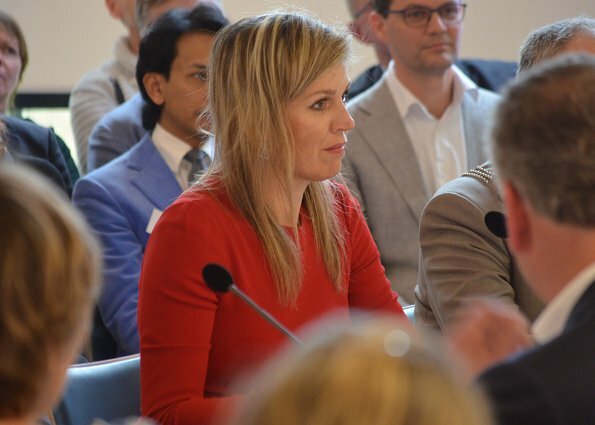 wat een leuke koningin en vlot ,maar de haren zijn te dun , voor lang haar !!! The dress, perfect. The hair, a mess.